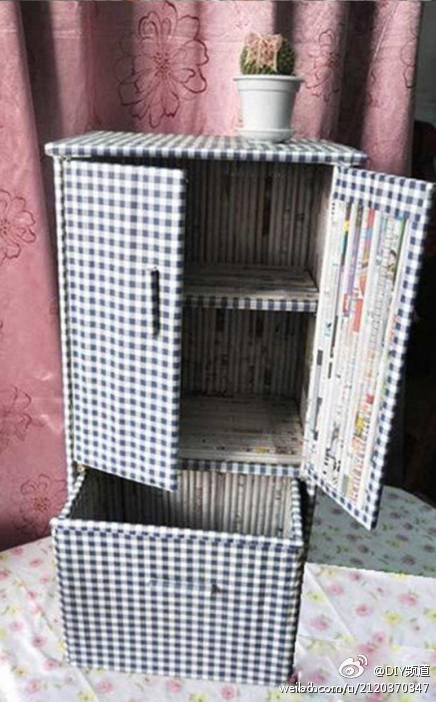 This cabinet was actually made with lots of rolls of newspaper! Pretty time-consuming to make, but what a great way to recycle. Click here for the step-by-step.